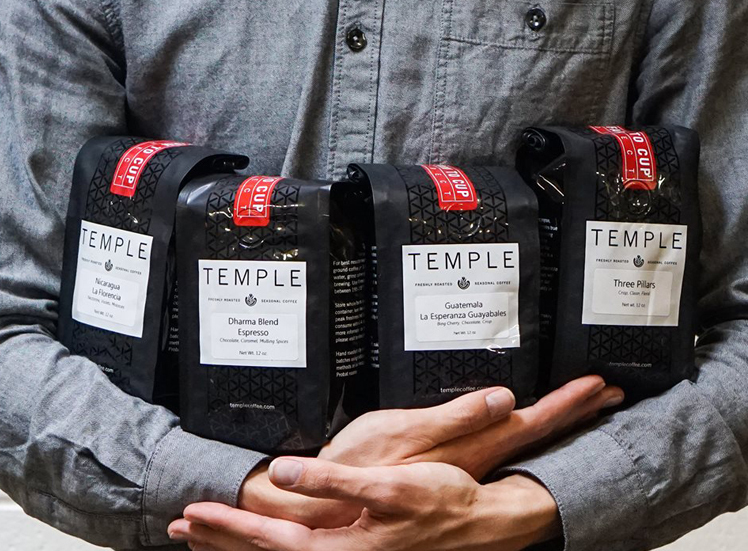 Temple Coffee makes the list of country's best roasters, year after year! 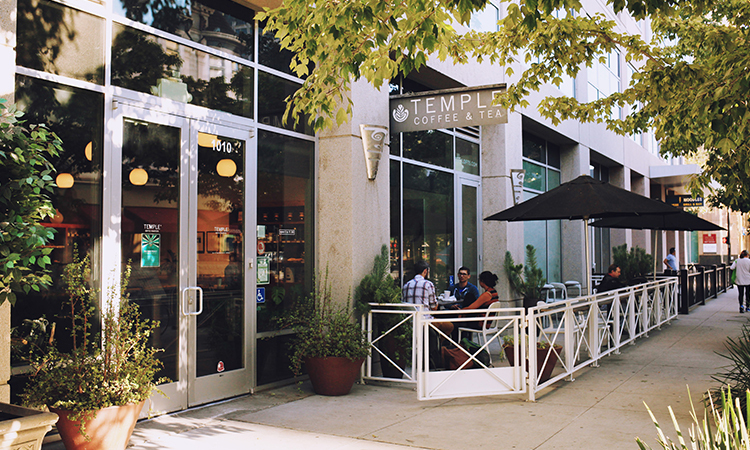 Temple Coffee is a quality-focused retail and wholesale roaster in Sacramento, California - voted Best Coffee House since its inception in 2005. 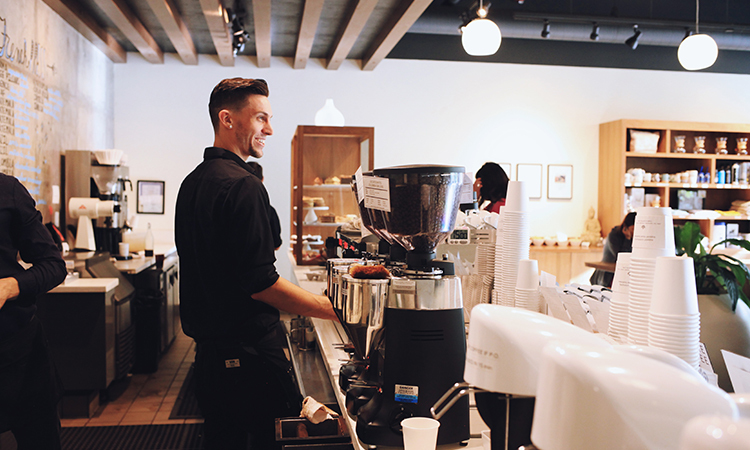 Our friendly and knowledgeable staff prides itself in serving the freshest award-winning coffee and espresso beverages from premiere coffee regions around the world. We serve multiple types of espresso (blend and single-origin), "Cup of Excellence" winners, as well as rare coffees in a French press, to satisfy aficionados like ourselves. We are committed to sourcing, roasting, and brewing the finest coffees. 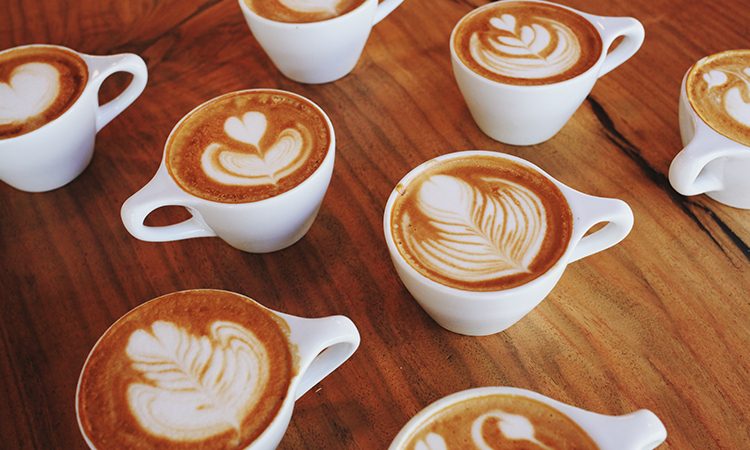 We feature monthly coffee education courses for customers on coffee brewing, tastings, and proper espresso preparation. Enter the Temple 365 days per year from 6am-11pm. 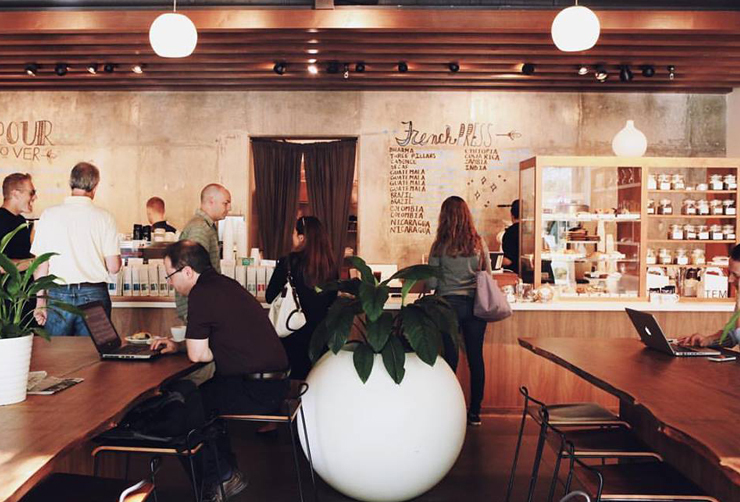 The people behind the counter are obsessed with making each of your visits a true experience. Whether you are opening an espresso bar, restaurant, or specialty market, we invite you to discover the many ways we can serve you. 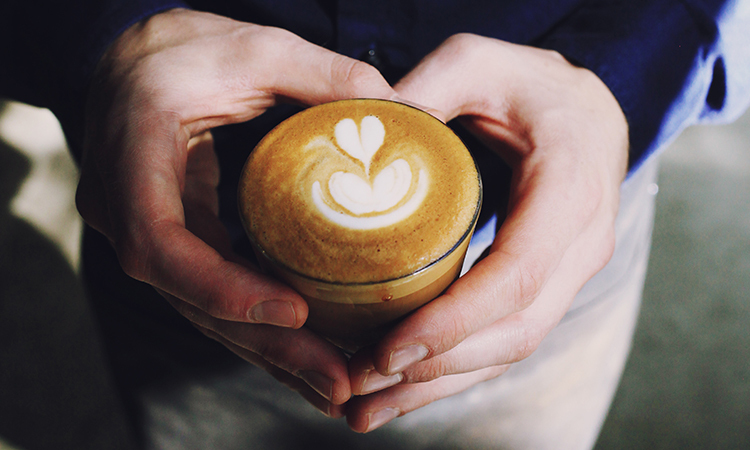 If you share our passion for excellence in coffee, we're pleased to work with you. As a successful coffee retailer, we understand your business model. With our coffer expertise, we can help you meet your business goals. Being a partnership, we have an invested interest in your success and you will receive the individual service you need. We also offer full training in-house for all our customers. 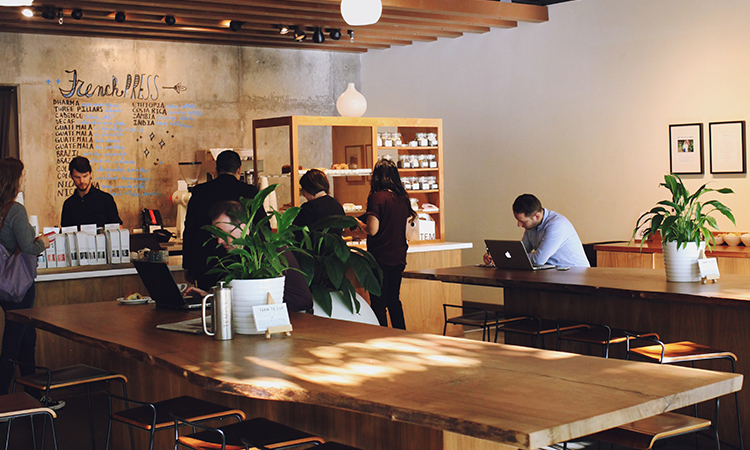 We focus on partnering with individuals and companies committed to delivering the best coffee experience possible. We also offer individual coffee consultation. Ask about our rates and service. So, if you're interested in the wholesale side of Temple Coffee please let us know. 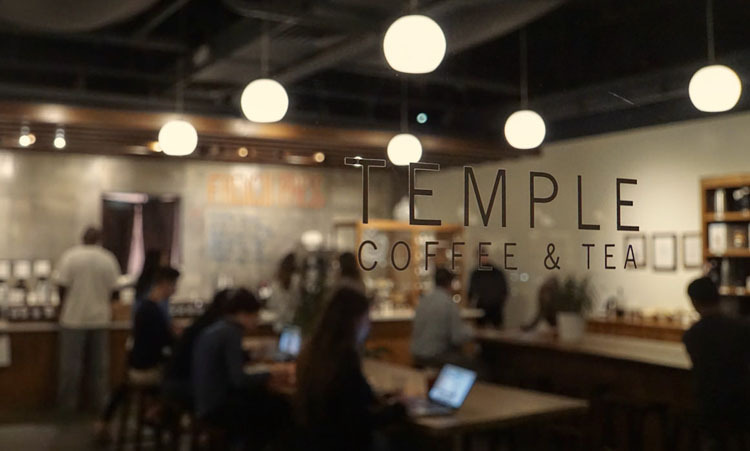 Temple Coffee is committed to sourcing, roasting and brewing the finest coffees. 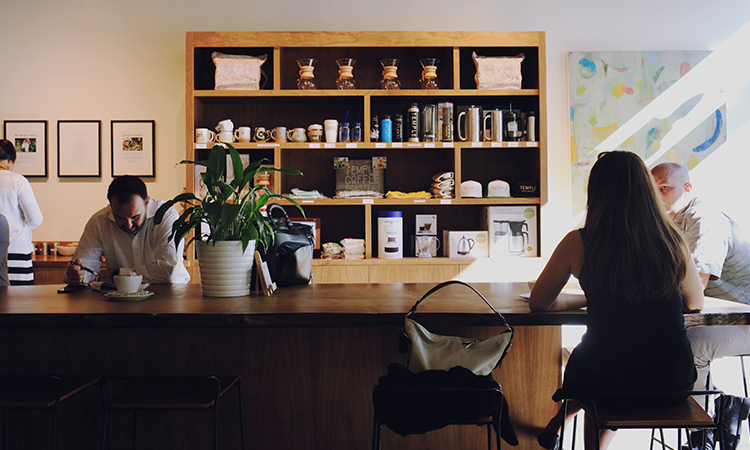 We roast our coffees daily based on your order so you get the freshest coffee possible. Coffees are roasted daily on our vintage German Probat UG-15 at our Roasterie. 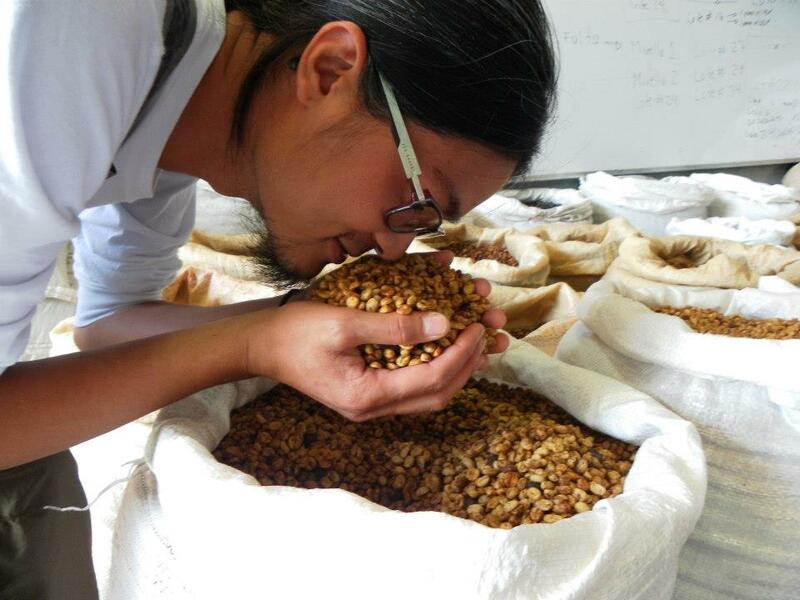 We carefully roast each coffee to bring out the individual characteristics and flavors of that particular coffee. Coffee is packaged and shipped right after roasting to ensure you get the freshest coffee. Great tasting coffee is not an accident. Coffee is a perishable product with delicate and unique flavors. To ensure freshness of our roasted coffee, we package the coffee immediately after roasting in valve-sealed bags. Our one way valve bags allow carbon dioxide to degas from fresh roasted coffee, but locks out oxygen. Each of our coffees is roasted when ordered to ensure freshness and the roast date is stamped on each bag. Use coffee within two weeks of the roast date, store in a cool dark place away from heat, light and air. Enjoy our coffee at the peak of freshness.